Download Martial Arts, 500 Articles, Instantly! Download Martial Arts Articles Instantly! Deadliest Martial Arts Weapon my…! I discovered this Martial Arts weapon many, many years ago. I had studied Chinese Kenpo Karate, and eventually earned my black belt in the Kang Duk Won, and I had hefted all manner of weapons. I had used the sai and the sword and and the nunchucks and the staff and on and on…I even had my own samurai sword! Then, one day I was over at a friend’s house, he was my Karate work out partner and we were talking weapons, and he suddenly grinned. You’re wearing the deadliest martial arts weapon in existence, and you don’t even know it. So he took me outside, we walked across the street into a big orchard, and he asked me for my belt. It was a thick belt, had a big, old, heavy buckle on it. Just the kind of thing a young man needs when he wants the world to know he has to keep his pants on. He dangled that belt from the fist, holding both ends. The buckle tight, and the other end in one loose finger. He picked up a rock, put it in the fold of the belt, and told me to watch a tree some fifty feet away. WHIIII! He let go the end, and the rock flew like a guided missile. It was a big rock, and he actually broke a small limb off the tree. I knew I could use the buckle for a flail, but I had never thought of the David and Goliath thing. To this day I wear a heavy belt, one I can whip out and use to bash or beat, whip or snap…or use as a sling. And, I keep a supply of steel balls. You can get them off amazon pretty cheap. I’m not pin point in my accuracy, mind you, and my friend admitted that he got in a lucky shot. But, still, I am fairly accurate, I can hit a three foot target from fifty feet, and what I hit stays hit. I tell you, a steel ball will go right through plywood, easy as a .22, when you do it just right. If you want to learn more about weapons, I suggest popping over to my Blinding Steel course at Monster Martial Arts. When it comes to Martial Arts Fighting, the times have changed, and changed again. When I first began Chinese Kenpo, back in 1967, you were expected to have control. Develop your power, but have respect for your karate opponent. We were all very careful, and we learned what hurt and what didn’t. I remember whent he first full contact matches came about. People started wearing protective gear, started neglecting control (hey! They were protected…what did they care? ), and the first full contact tournaments appeared. Full contact didn’t work very well. A good boxer would go in and clean up. He had superior training methods for that specific form of fighting, and he had better conditioning. The karate tournament fighters didn’t really understand about this type of impact. I remember watching some of the early fighters, and to hurt their opponent they would hit with ridge hands…on the wrist above the glove. No padding, and it worked better. Nobody figured out elbows. To be honest, the change from no contact to full contact was not good. Pads and gloves changed focus points, and people with years in no contact were usually better than fellows trying to make the change to full contact. 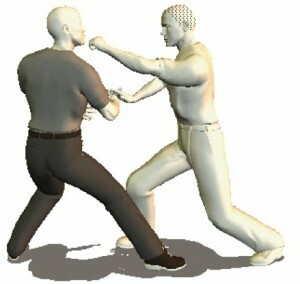 Think about it, people studying no contact could do more damage than people who were studying full contact. But such factors didn’t matter. People want instant gratification, and full contact answered the call. A knock out, you see, is like a home run; people want to come to see the knock out. So full contact had arrived, but its progress was slow and spotty. There were fights over rules, fighters tried to skew the rules so they would have an an advantage, and nobody really knew what was happening. Then MMA arrived. Mixed Martial Arts. And the world changed. Training methods sharpened up, rules became more set in stone, and the real art was re-introduced. The thing became not a downgrade of bad karate, but a side step from good jujitsu. The odd thing is that, for all the blood and teeth spilled in the ring, people much prefer no contact training methods, or at least very limited contact. Yes, they want reality, but they don’t want to get mugged on the way to it. And, one very interesting fact: people are finding out that there is more to learn when doing the older less contact artforms. When you get into it with an opponent in many mixed martial arts schools, the contest tends to degrade, turn into a fight, a controlled fight, but still a matter of who is better. This is in opposition to one perfecting one’s technique, which is what the true martial art is really all about. Still, this last manifestation of lessened martial art is but one more signpost on a constantly evolving facet of martial arts training. From Martial Arts Tournament to Full Contact Fighting to MMA to…beyond, this is a sport that is evolving, growing, adapting…and getting better. Learn Zombie Kung Fu Now and Kill the Living! Zombie Kung Fu is the Deadliest Martial Art! I bet that if I started a zombie kung fu school I would get fabulously wealthy. I could teach all the secret martial arts techniques that the undead use to rip the living heart out of some fool who can’t run very fast. I could teach people the secret monster karate techniques that…maybe I better get to the point? My wife was sure that I was destroying my sons’ fragile, eggshell minds. We would sit for hours and watch monster movies. And then I would teach them martial arts. What she didn’t know was that we were studying several key points which were crucial to understanding the martial arts. The main point was the use of wires and make up. Understand these two things and it will change the way you think about the martial arts, and it will even undo the harmful effects of Hollywood scripting. First, we would spend hours analyzing how Hollywood did its effects. How did that zombie jump from one roof to the next? The answer, we would find, would be a crane with a wire, or a blue screen and a ramp pasted onto the background. This led to attempts to duplicate certain feats, with me holding onto the belt, placing a hand under the back, or otherwise seeing if something could be done. Interestingly, this led to the boys appreciating the need for spotters and proper instruction before attempting those things they do on TV and warn you not to do. The second thing was makeup, and while we didn’t start roaming the neighborhood in monster drag, we did get in severe analysis of how make up could be used to enhance slaughter. If you bent the head a certain way, put a metal plate against the throat, you could explode a small charge and make it look like a throat was blowing out. Wild. And, the method for inserting arrows, knives, bullets, or whatever the projectile of your choice into the body part of your choice was interesting. This led to analysis of whether the body would react the way it did under impact. Interesting, to say the least. I know this is an odd article, and I know that people will not like me for the way I raised my kids. But my kids are not fooled by Hollywood, don’t get upset by fake blood, appreciate good film making, know that no actors were harmed in the filming of this movie, and understand better how reality works. So I think you better learn a little Zombie Kung Fu, that way maybe you’ll survive when the zombies come for you. Secrets of Real Shaolin Kung Fu Training! The wins students get from true Shaolin Kung Fu training are absolutely unbelievable. The key to these wins is to train correctly. After all, you could have the nicest cut of ribs in the world, but cook it incorrectly and you’ll have a charcoal mess. When one is studying Kung Fu one should always move the body as a single unit. Six Harmonies Boxing preaches that one should move the hand at the same time as the foot, the knee with the elbow, and the hips with the shoulders. This is a technical viewpoint, which tends to separate body parts even as it unifies them. With the hands and feet, one should step or twist into a posture in unison with the starting and stopping of the hand movement. For the knees and elbows, move them in a manner which results in proper body alignment. For the hips and shoulders, move them in unison and commit your entire body weight into whatever movement you are doing. 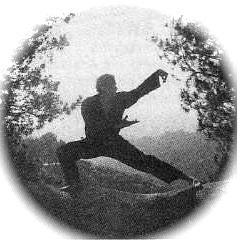 The second of the three secrets of Shaolin Kung Fu training is to use the waist to initiate body motion. This is something that people begin to learn naturally after coming to grips with the points about moving the body as one single unit. Simply, one should use the waist to make the body turn, don’t turn the arms first. If you move the arms to initiate an action the body weight is going to be trying to catch up, instead of projecting weight and energy, and this tends to take weight out of a movement. Taking weight out of motion will take real power out of a move. If one studies this principle they will end up building the true chi power inherent in Shaolin Kung Fu. Last secret, one must focus on the right way to breath. There is a commonly held idea that one should breath inward when the body contracts, and outward when the body expands, but there is more to this idea than just that. One must use breath to guide awareness through the body. 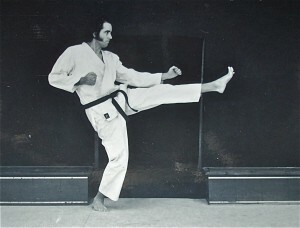 To make this occur one should ‘swim with awareness’ when doing the motions of kung fu forms. One should push the hands through the air as if they are moving great weights, this can give one the appearance of swimming through molasses. This tends to be truer in the internal forms and styles of Shaolin Kung Fu training, but that is fine. To finish up, what you have just read are three significant points that many people neglect, or simply just don’t fully grasp. Yet they are key to good martial arts practices. Make the body parts work as a single unit, move with the whole body, and put breath awareness into your movements, that is the easy and plain secret of true Shaolin Kung Fu Training. Bruce Lee Workouts were incredible, and they resulted in incredible strength! You see, it wasn’t just that he was a martial arts fanatic, a physical cultist, but that he could actually do superhuman feats of strength. I’ve listed a few of the things he could do here, and you should consider them seriously when you do your Bruce Lee workouts routine. It’s more than just push ups and sit ups, you see, it is going beyond the limits of the body. First, the sheer speed one builds doing Bruce Lee training routines is more than just faster than the eye could see, it is faster than the mind can comprehend! He could punch an opponent in five one hundredths of second…that’s 0.05 seconds. Try moving your thumb that fast on your digital stopwatch! 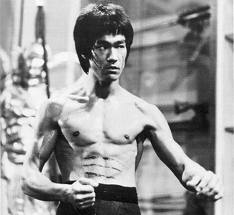 Second, Bruce Lee could extend a seventy-five pound barbell straight from his body-arm for several seconds. That is a incredibly difficult. Go ahead, pick up a cinder block and hold it straight out, and that is only a few pounds. Fourth, think your push ups are pretty nifty? Try doing a push up on the thumb and forefinger! His fingers were more powerful than your whole arm! Or, and I love this one, Mr. Lee could do 50 one arm chin up repetitions! Let me repeat that…that’s FIFTY one hand chin ups. How would you like to have a python as strong as his arms choking you out? Sixth, and this is for all those tough guys out there that think they can take a kick, Bruce Lee could kick a 300 pound kicking bag and make it hit the ceiling! Now that is launch power! Interestingly, there aren’t a lot of 300 pound martial arts kicking bags around, and Bruce had his made special. Finally, Bruce could hold an elevated V-sit up position for thirty minutes. I would think that that would actually qualify him as a yoga master, in addition to all his strength and martial arts accomplishments. Think about some of these things when you decide to do some Bruce Lee workouts. The best way to make a perfect and strong body is Yogata. Head to Monster Martial Arts to find out more.